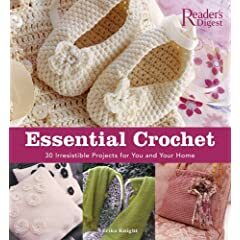 I’ve been trying to crochet a pair of booties from the Essential Crochet book and it is just simply not working for me. 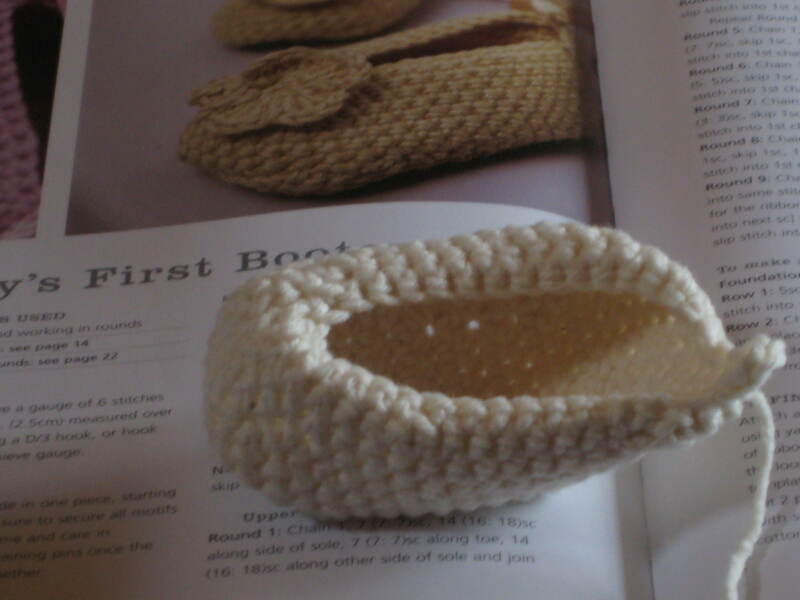 The first glitch came for me after I finished the sole, that was fine, then the instructions said for the upper part to do 7 sc, ok, easy. Then do 14 sc down the side of the sole, how the hell was I supposed to do that, how am I supposed to know where to put those 14? Grrr! time to try it all again (3rd time’s the charm right).